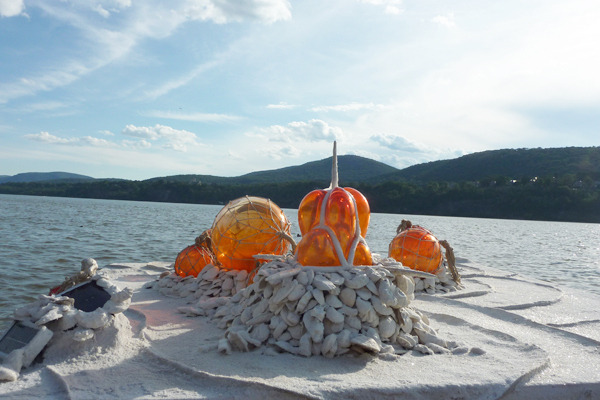 On July 15th 2010 Oyster Island: A Submersible Substrate for Future Aquatic Life (2010) a floating site specific Sculpture was launched on the Hudson River at Garrison’s Landing in Garrison. 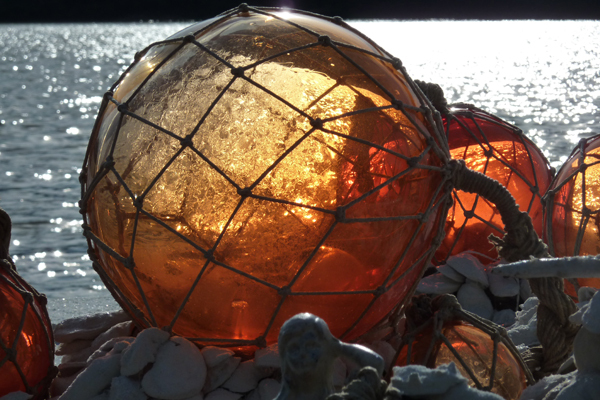 The work is part of Garrison Art Center’s sculpture show entitled CURRENT on display until October 11th, 2010. 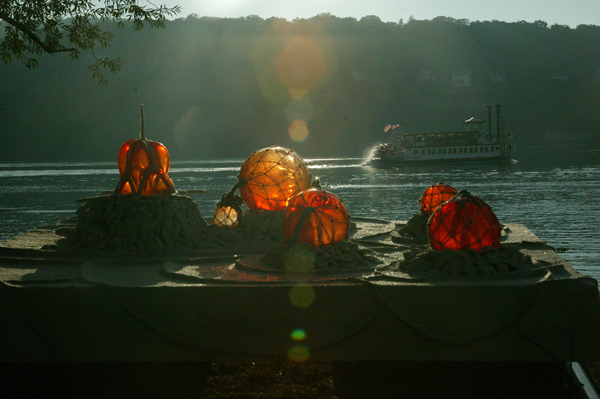 The sculpture pays homage to New York’s past as the “Oyster Capitol of the World” which boasted of 350 miles of oyster reef spanning from Coney Island to Poughkeepsie. 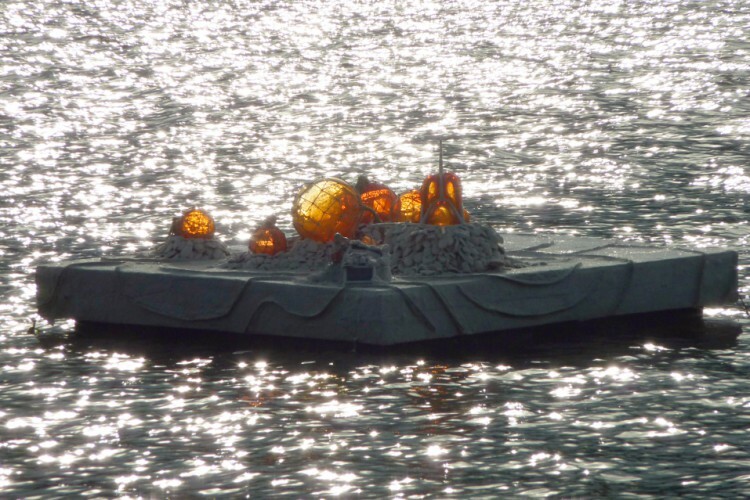 Oyster Island, as well as its sister sculpture on Governor’s Island, NYC, Oyster Dream Sweet Spot: A Future Substrate for Aquatic Life, with its playful forms are geared towards engaging younger viewers and the general public. The concept is that if submersed all of the materials used would be conducive to oyster larval settlement. The materials used in Oyster Island, are tested to ensure that oyster spat (larvae) favor them for colonization. The goal is to create systems through design and material choice that will restore the environment. Materials like plastic and concrete were purposefully not used to create the work in an effort to show there are sustainable solutions for reef restoration. 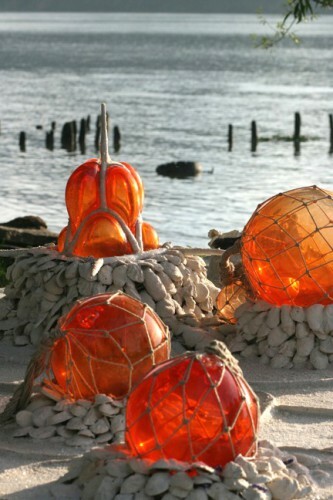 The materials used in Oyster Island were created following the guiding principles of the New York State Department of Environmental Protection that advise that materials used in oyster restoration should last for over 100 years and have zero negative environmental impact. This is part of a series of work that are part of the “Geotherapy” series. “Geotherapy” is a solutions-based practice aimed at addressing today’s environmental ills. 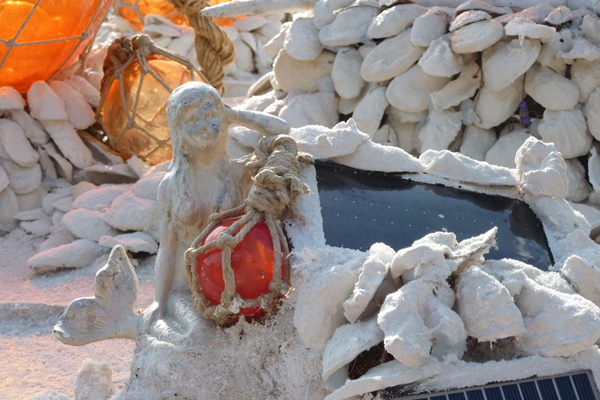 Materials: metal, porcelain, crushed marble, glass, hemp, anomie simplex, solar panel, raft.